This article covers detail guide on how to track you lost/stolen sprint phones. Every day, dozens of people realize “Oh no, I’ve lost my cell phone!” A lost cell phone or a missing or stolen cell phone can be more than just an inconvience. Particularly these days, with email, text messages, and more on one’s cell phone, losing a cell phone can be a big security issue. How to use sprint's GPS to track your sprint phone when stolen. Using Sprint's GPS tracking service to locate a stolen phone requires your mobile phone to be enrolled in the Sprint Total Equipment Protection plan. 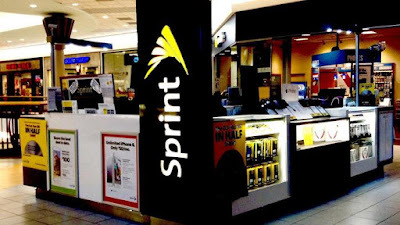 If the sprint mobile phone cannot be located, the plan lets the customer erase the data from the device and receive a replacement as soon as the next day. A Sprint customer can use the Total Equipment Protection plan to lock a stolen device from a remote location. The lock feature is only available for Android devices, but both Android and iOS devices may be wiped clean to protect the user's private information. The customer can file a claim to receive a replacement device that he can transfer his contacts and personal information to using the plan's backup features. Current Sprint customers have the option of either enrolling in the basic Total Equipment Protection plan or the Total Equipment Protection Plus plan, the latter of which includes built-in security that protects devices against viruses, backup services for photos and videos, and immediate support from tech experts that are based in the United States. The basic Total Equipment Protection plan backs up contacts but does not back up photos or videos. All of the protection features in this plan can be accessed through the included Sprint Protect mobile application for Android and iOS devices. Sprint Family Locator can show you the location of a lost or stolen phone. Lost Sprint phones can be located using the Sprint Family Locator service. Sprint Family Locator service requires that your sprint mobile phone must be turned on and a Sprint network covered location to be locatable. The supplied location is approximate, achieved through the triangulation of the phone location using Sprint network towers. A reference address is also supplied. Sprint instructs users not to go looking for lost phones in unfamiliar locations themselves, advising them to go only to locations that they have recently frequented within the supplied reference area. As i mention earlier 'If You are able to locate your Sprint Phone with sprint family locator, report the incident to the police immediately. For your safety, do not attempt to confront the suspected thief or retrieve the phone on your own. Nevertheless, for you to use this service, sprint customer must be an official account holder of a lost phone only then is Sprint Family Locator service available to you. Although the Family Locator app is available on both the Play Store and iTunes, users need not have the app installed for the service to work. Firstly, navigate to the Family Locator Signup portal, where they are instructed to enter their account’s primary account holder number and their email address. You do not have to be the account holder in order to sign up for the service, but you do need to check with the account holder, because he or she will be the one who's billed. For the service to work, the phone must be turned on and in Sprint’s network. Also, when you register, the phone you want to find will immediately receive a text stating that its location can be seen. Secondly, you will be instructed to enter security information to confirm their identity as the primary account holder. Thirdly, a choice of phones to locate is presented. Finally, the account information and terms of service are shown before the location service is activated.